Whilst in Zagreb I stayed at 2 different hotels. 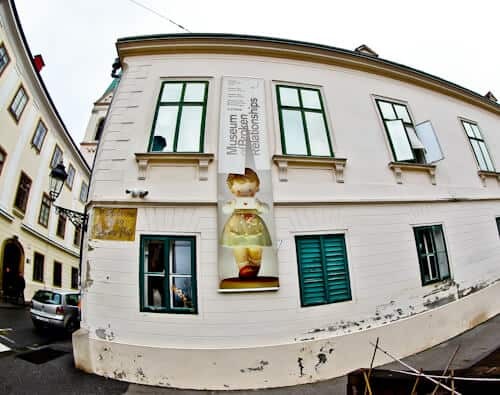 Both were perfectly located in the old town and within walking distance of all Zagreb attractions. Depending on your budget you can try the luxury Hotel Academia as well as the more affordable Art Hotel Like. Additionally you can view if there any good offers on booking.com Zagreb. 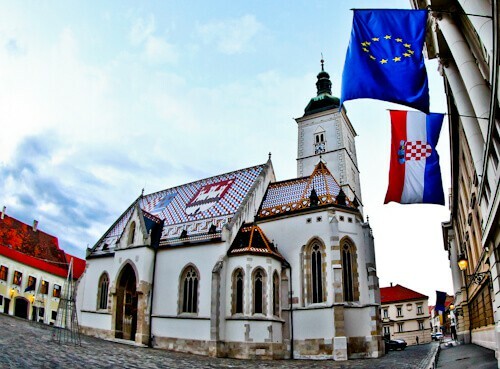 St Mark’s Church is the Instagrammable location in Zagreb! The reason it makes Instagram worthy photos is because of its colorful roof. The tiled roof was added in the late 13th century. It features a coat of arms on the left featuring the emblems of Croatia, Dalmatia and Slavonia. You should recognise the chequered red and white flag of Croatia as this is the style of the Croatian football shirt. Additionally, on the right is the coat of arms of the city of Zagreb. The church itself dates back to the 11th century and it’s possible to visit the interior. The church photographs beautifully at sunset. Zagreb Cathedral is the tallest building in Zagreb and Croatia. 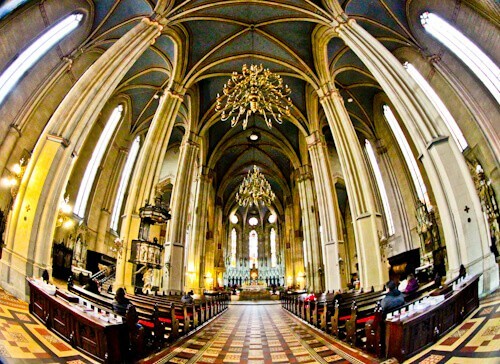 The architectural style is Gothic and you can see it from most locations in Zagreb. As well as having an impressionable exterior, it’s also worth viewing the interior. Inside you’ll find many interesting paintings from different eras, including a version of ‘The Last Supper’. In addition there’s a life size wax sculpture of martyr, Aloysius Stepinac. The Museum of Broken Relationships is dedicated to the items of a relationship which no longer serve a purpose after the relationship breaks down. People from all over the world send their items to the museum, often with an explanation. It’s interesting to see the items and read the story behind them. For those who send the items, it’s part of the recovery process of finishing the relationship and moving on. The museum is located near St Mark’s Church. 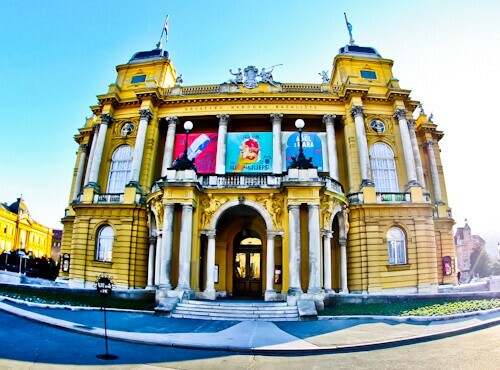 One of the most impressive buildings in Zagreb is the Mimara museum. 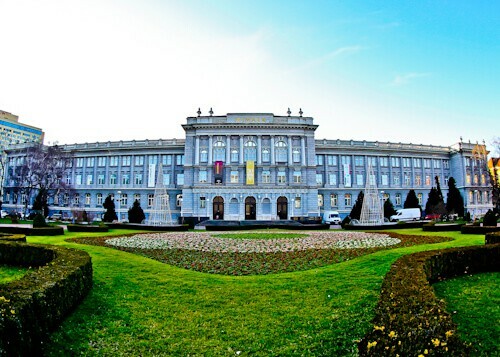 This building houses an art museum with over 3000 pieces of art. Artwork dates back as far as prehistoric times to more modern pieces from the 20th century. The artwork was collected by Croatian, Ante Topic Mimara, hence the name of the museum. You’ll see pieces of art from Italian, Dutch, Flemish, German as well as Spanish and English artists. If you’re not into artwork, it’s still worth visiting to make those Instagram shots in the garden. Zagreb has a green belt area which is a U shape. It’s worth taking a walk along the Zagreb green belt. Along the green belt you’ll see some unique buildings in addition to various museums. The impressive Zagreb train station is also located on the green belt. A couple of notable museums along the green belt are the Art Pavilion, in addition to the Archaeological museum. Again, if you’re not interested in these museums, it’s worth going along to view the buildings as well as the garden areas surrounding them. The Zagreb underground tunnel network is known locally as the Gric Tunnel. The tunnels are located under the upper town and have various entrances. 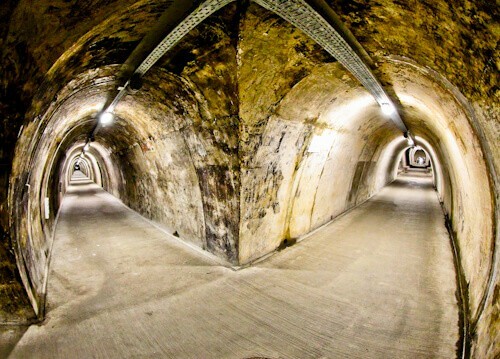 They were originally built as bomb shelters during the second world war, although never used. In fact they were in a state of disrepair until recently. Nowadays it’s free to explore the underground, the locals use them as a short cut under the upper town. They are so spacious that events are often held in the tunnel network, including raves. 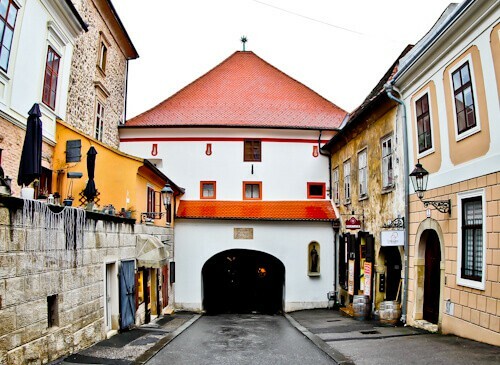 There are many ways to reach Zagreb upper town, which often involve stairs or a slope. An alternative route for those who do not wish to climb is by funicular. The Zagreb funicular is the shortest funicular ride in the world! At the top of the funicular is the 13th century Lotrscak tower. A cannon is fired from this defense tower daily, in addition you may ascend to the top for a view of the city. Other points of interest located in the upper town are St Mark’s church, Museum of Broken Relationships as well as several government buildings. Opposite Zagreb Cathedral is Dolac Market. This is a farmers market selling organic fruit, vegetables, flowers and meat. For market lovers, the Dolac market is a must. 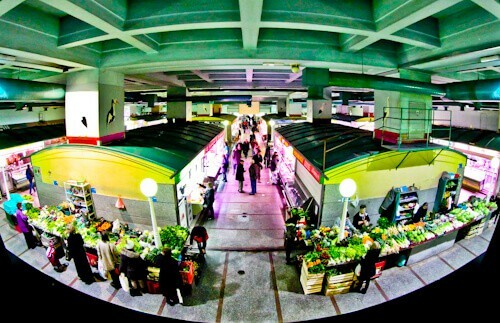 The market has 2 levels, an outdoor market and below, the covered area. Whilst exploring Zagreb Croatia, you’ll see lots of colorful trams. There are modern blue trams (above), as well as historic blue trams. In addition there are a few historic green trams driving around the city. If you see a tram line passing by a historic building, it’s worth waiting for a tram to pass before making the shot. 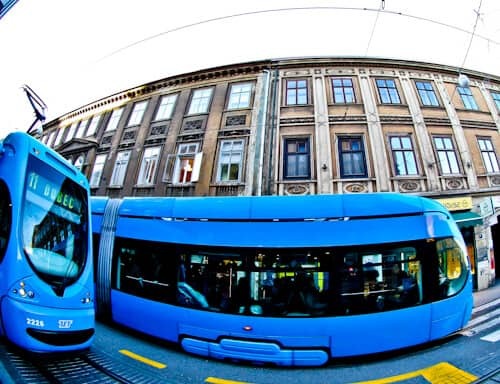 The trams of Zagreb can add a lot of color to a photo! 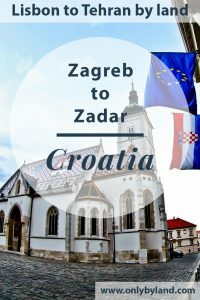 There are several buses per day from Zagreb to Zadar. I traveled with Flixbus to Zadar which took between 3-4 hours. You may consider taking the Flixbus first to the UNESCO Plitvice Lakes which is roughly halfway to Zadar. 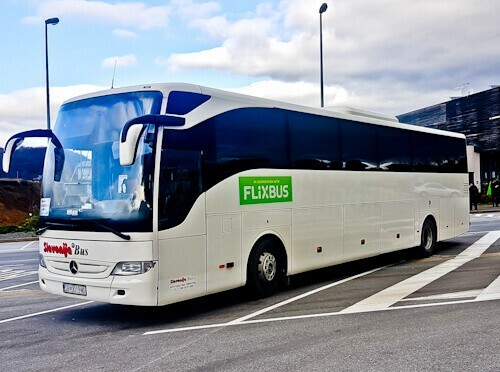 Be aware that the Flixbus may be served by Brioni on this route and therefore a white bus!